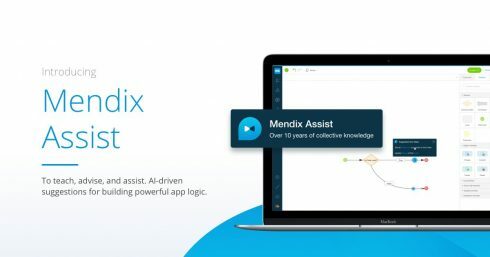 Mendix has announced a new AI-assisted development solution for low-code application development. Mendix Assist is based on machine learning analysis from more than 5 million anonymized app flows. According to the company, it provides 90 percent accuracy on next-step suggestion, and quality, performance and maintenance recommendations. Mendix Assist is designed to provide hands-on mentoring for new developers, increase developer productivity, and decrease time and cost impact of functional and non-functional defects. IBM is updating is DevOps solution with UrbanCode Deploy 7.0 and UrbanCode Velocity 1.0. The latest version of UrbanCode Deploy features a new endpoint management layer in order to help teams operate at scale. In addition, it enables the ability to share deployment processes, updates the UrbanCode user interface and provides a new Safe Edit functionality. UrbanCode Velocity is designed to provide deeper insights into builds, deploys, tests, releases and trends. “A growing number of companies are moving beyond the traditional DevOps approaches of applying lean and agile in isolated projects or teams. Today, the name of the game is what’s being dubbed as DevOps ‘Day 2,’ a world that emphasizes scalability and teamwork. In such environments, development teams shift right, operations teams shift left and together they adeptly deliver and manage multiple, complex projects at the same time,” the company wrote in a post. The FreeBSD foundation is celebrating the project’s legacy and continuing impact. FreeBSD is an open-source operating system. On June 19, 1993, the foundation officially declared the day to be FreeBSD day. Uptycs, an osquery-powered security analytics platform, emerged from stealth today with a $10 million Series A round of funding. The platform is designed to provide a universal open-source endpoint agent and enable unified fleet visibility, intrusion detection, vulnerability management and compliance across Linux, macOS, Windows, containers and cloud workloads. Constellation Labs announced a new membership portal to serve as a platform for Constellation teams, developers and community members to communicate, share resources and contribute to the network. Constellation Labs is a scalable blockchain for consumer-grade apps. Orion will enable developers and members to earn tokens for contributing to the network access activities including bug reporting and white paper mistranslations. “We want to empower our community to help shape, build, and grow the ecosystem efficiently, while encouraging our developers and community members to stake their tokens. At Constellation, we are eager to create a way to digitally capture and quantify trust that exists between people in the world, and use it to secure the network. It’s our hope that by opening up this incentivized portal and encouraging the staking of our token, we will mobilize the Constellation community at large to address the obstacles to scaling the network,” said Brendan Playford, CEO of Constellation.